I often come into contact with American tourists who stay at my Bed & Breakfast and I always ask them where is the best place in America as far as climate is concerned and I nearly always get the same answer – the area around the coastal town of San Diego. 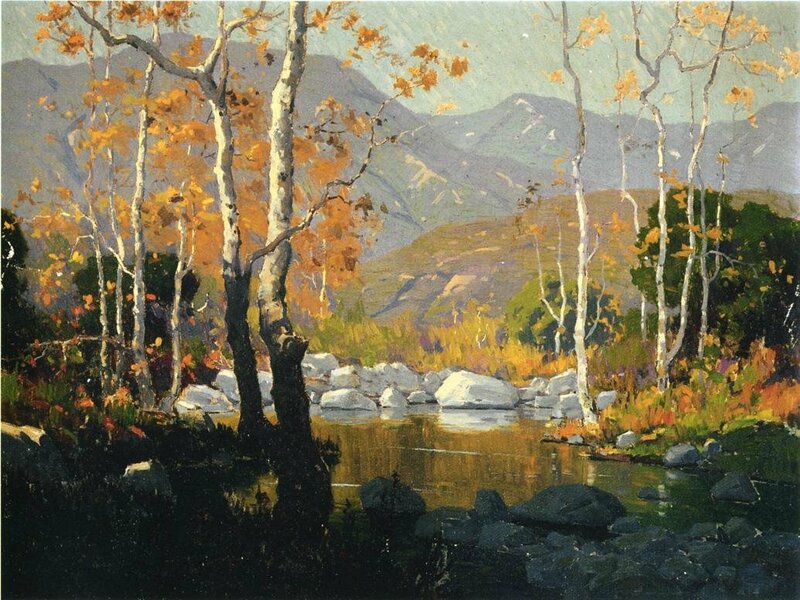 In my blog today I am looking at two landscape artists, husband and wife, who concentrated their work around the beautiful areas of Southern California. Let me introduce you to Mr and Mrs Wachtel. Elmer Wachtel was the older of this married couple, born in Baltimore, Maryland on January 21st 1864 but it was not until 1882, when he was eighteen years of age and had completed schooling, that he crossed country to live in California. His new home was to be San Gabriel, California where his brother was foreman of the Rose Ranch. He had married the sister of the artist Guy Rose. 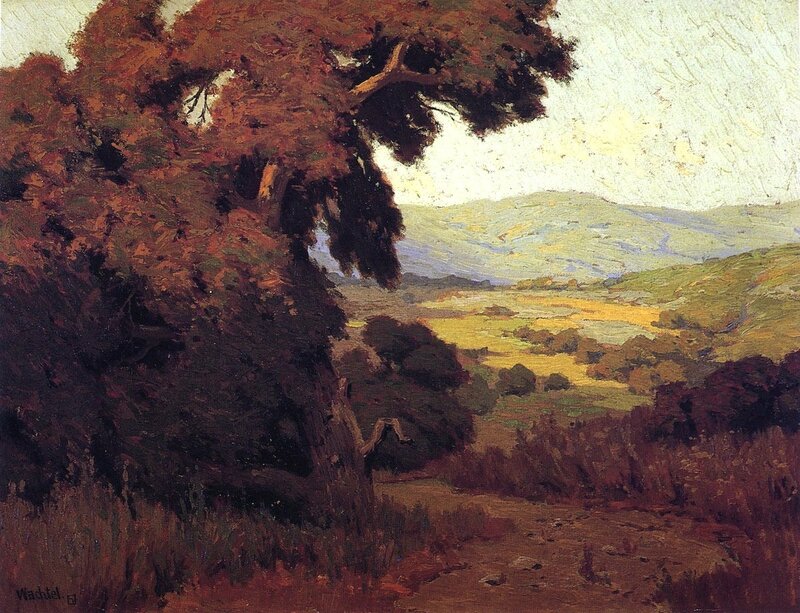 Guy Rose was a student of John Bond Francisco who had settled in Los Angeles. Francisco had become a major cultural figure, performing as a violinist, painting, teaching and entertaining in his home and his studio on Albany Street. He combined his two great loves art and music and helped form the Los Angeles Symphony Orchestra in 1897 and served as their first concertmaster. Studying with Francisco, Elmer had found the ideal “fit” as he was interested in art and was also an exceptionally talented musician, having taught himself to play the violin. In fact he was such a talented musician that he at one time was the first violinist of the Los Angeles Philharmonic Orchestra, which was founded by William Andrews Clark, Jr., a millionaire and amateur musician. It was not until 1894 that Elmer decided to enrol at an art establishment to learn more about drawing and painting and he moved back east to New York where he joined the Art Students League which had been founded in 1875 by a group of artists, both male and female. They had all been students at the National Academy of Design in New York City. Many of these aspiring artists decided to break away from the Academy citing the reason that the Academy’s art tuition was too conservative and unsympathetic to their new and modern ideas about art. 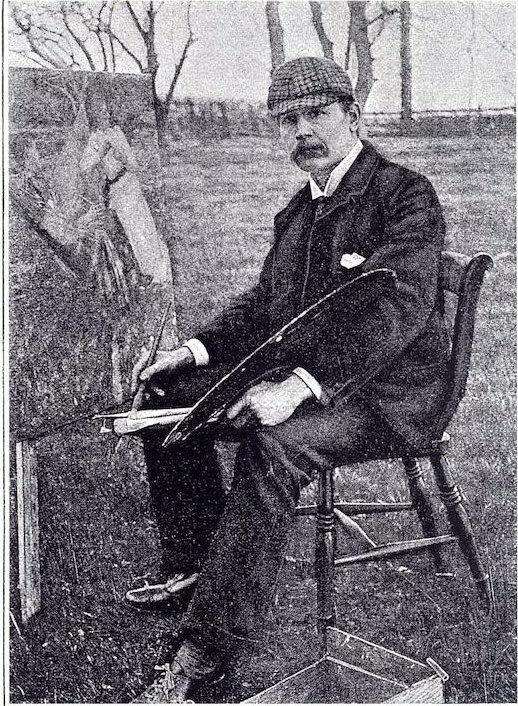 Whilst here, Wachtel studied under William Merritt Chase, the American painter and leading American exponent of Impressionism. 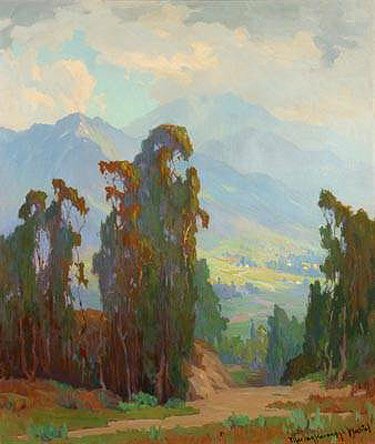 Elmer returned to California in 1896 and stayed at the San Francisco home of William Keith, the Scottish-American painter who was famous for his Californian landscapes and in fact was often referred to as the “Dean of California painters”. Elmer Wachtel eventually left San Francisco and returned home to Los Angeles. 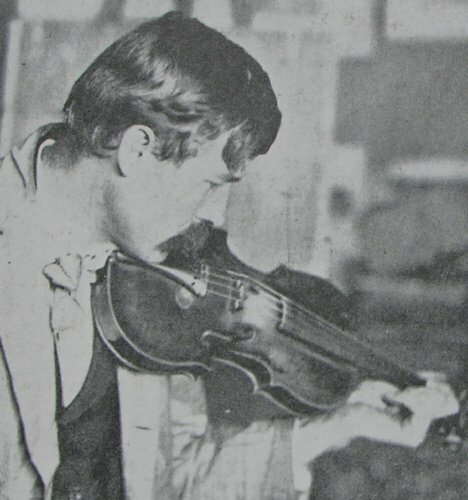 During this period, he supplemented his income as an artist and an art teacher and by playing his violin in a number of orchestras. 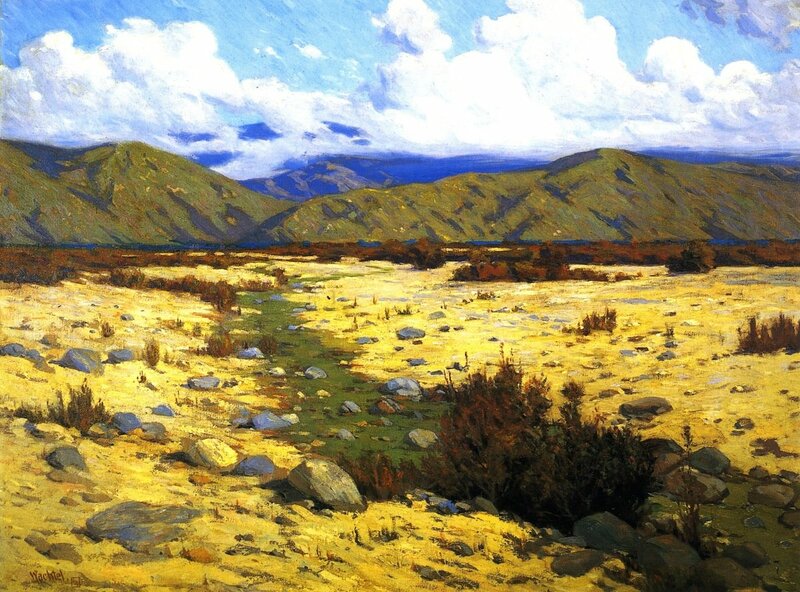 California had been opened up to folk from the East by the Santa Fe railroad in the late nineteenth century and many of these travellers from the East were artists who wanted to experience the beautiful Californian landscapes and the natural light which bathed these lands. One such visitor was Marion Kavanaugh. Marion Kavanaugh was born on June 10th 1876 in Milwaukee. She came from an artistic background. Her mother, Jean, was an accomplished and well respected artist and her great grand-father a Royal Academician. She received the most thorough art education studying in the School of the Art Institute of Chicago under John Vanderpoel, the Dutch-American artist and teacher and was tutored in New York, like Elmer Wachtel, by William Merritt Chase. Following the completion of her studies she taught art in some Chicago public schools and later attained a post as tutor at the Art Institute of Chicago where she taught for two years but life in the classroom was not for Marion. 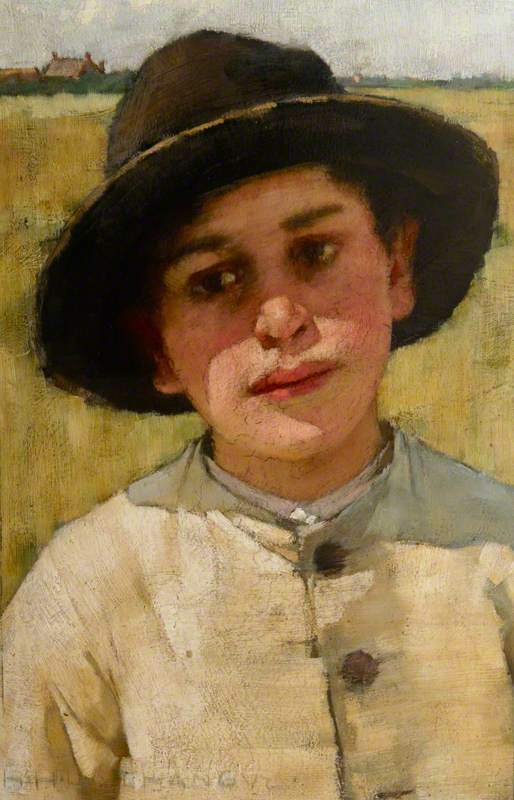 Slowly she built up a reputation as a portraitist and an accomplished painter of child portraits. 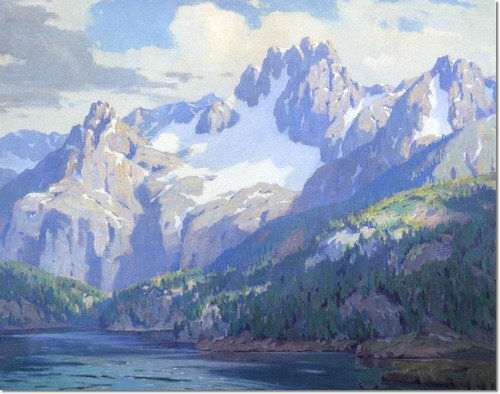 Marion Kavanaugh had now built up a reputation as one of America’s great watercolourist and her skill as a landscape artist and tonalist was much admired. Tonalism is a style of painting in which landscapes are depicted in soft light and shadows, often as if through a coloured or misty veil. In 1903, Marion received a commission from one of the vice presidents of the Santa Fe Railroad to paint murals of Western landscapes for the company’s San Francisco ticket offices, in return he offered free passage to California on one of the company’s trains . To achieve that commission she travelled west and visited many sites all the time making sketches along the way which she found would be conducive for her commission. She stopped off at New Mexico, Arizona and California. Whilst in California she called in at the Cooper Ranch in Santa Barbara where she stayed for several months as a guest of the owner, the entrepreneur and agriculturist, Ellwood Cooper. Cooper commissioned her to paint some landscape scenes around his ranch. It was during this commission that she began to paint the eucalyptus trees which were found close by and it was these beautiful trees that were to appear in many of her works of art. Many of the paintings she completed for Ellwood Cooper were exhibited and they won critical acclaim. One person who viewed her work was none other than William Keith. Some believe that Marion Kavanaugh worked for a short time with him and that he suggested she visited Elmer Wachtel in Los Angeles and studiywith him. She agreed to the suggestion and so in 1903 Marion Kavanaugh and Elmer Wachtel met for the first time. Even though the circumstances of their first meeting may be just conjecture, what is certain is that there was a definite chemistry between the two artists for one year later in 1904, forty-year old Elmer Wachtel and twenty-eight year old Marion Kavanaugh married in Chicago. 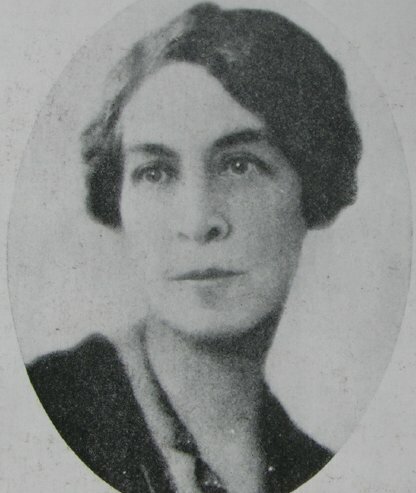 After her marriage to Elmer, Marion took his name but also added her maiden name after dropping the “u” from it and became known as Marion Kavanagh Wachtel. The couple returned to California and settled down in the Mount Washington area, close to Pasadena where they built themselves a home and a studio. The couple lived in the Mount Washington area of Los Angeles until 1921. They then moved to the Arroyo Seco area close to Pasadena. They spent almost twenty-five years travelling around together painting, en plein air, the various landscapes in the south west of the United States. 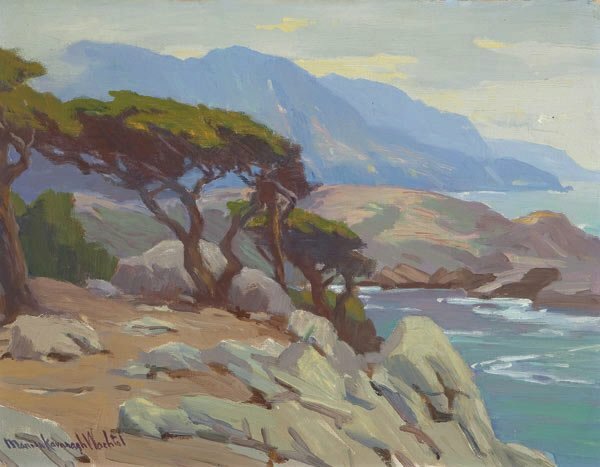 Often they would be seen painting and sketching the awe inspiring Southern California landscape and they travelled great distances to capture the views and light conditions which they translated into spectacular paintings. They traversed and painted the coastline between Gaviota and Conception Lighthouse (just north of Santa Barbara, California), the Cooper Ranch (north of Santa Barbara), Matilija Canyon and Ojai, California. They would head further south to the San Luis Rey River and the Cerisa Loma Ranch which was close to San Diego and in 1908 they hiked their way across the arid deserts of Arizona and New Mexico availing themselves of the opportunity to capture on canvas the historic pueblo villages on the Moki and Navajo reservations. Marion worked in watercolours unlike her husband who worked in the medium of oils. She was a member of many art societies such as the American Watercolour Society and the California Watercolour Society and on two occasions in the 1920’s Marion Kavanagh Wachtel was granted one-woman exhibitions at the Los Angeles Museum of History, Science and Art. Their happy marriage came to an abrupt end in August 1929 when Elmer Wachtel died, aged 65, while on a Mexican painting trip in Guadalajara. Following her husband’s death, Marion gave up painting and exhibiting for a number of years. When she returned to her beloved art, besides using her favourite painting medium, watercolours, she began to dabble in oils, the favourite medium of her late husband. 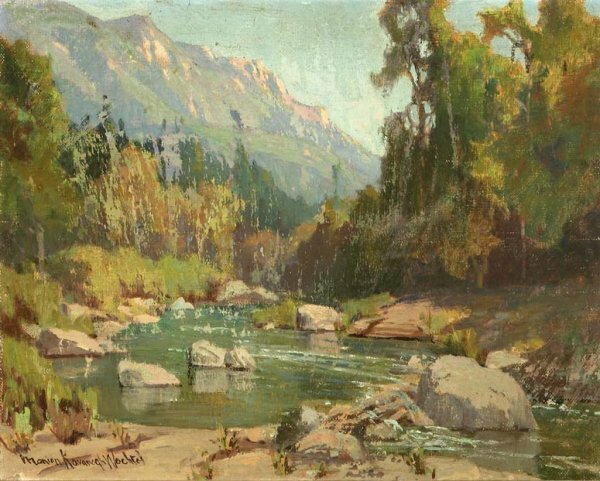 She exhibited her works on both coasts of America and became a very popular and revered landscape artist. Marion Kavanagh Wachtel died at her home in Pasadena on May 22nd 1954. 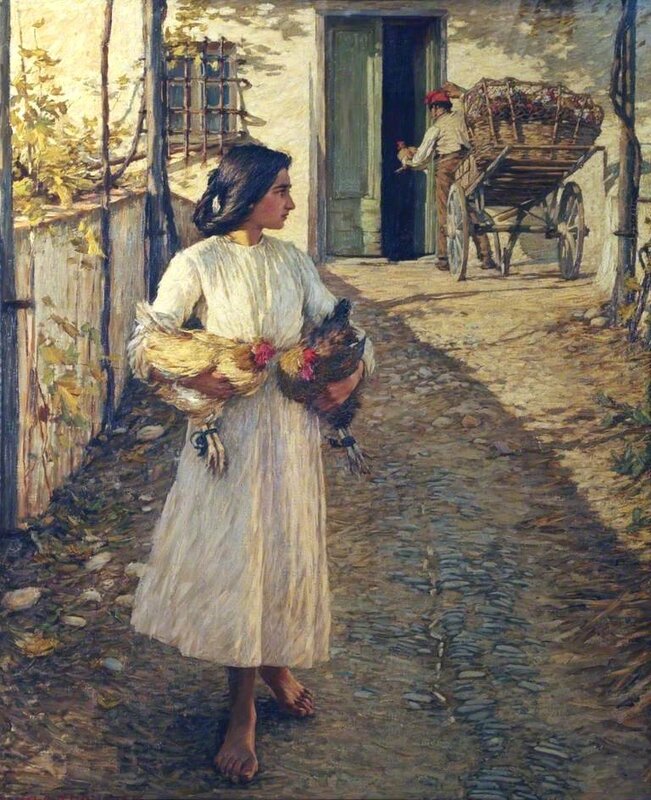 A few blogs ago I looked at the life and works of George Clausen and termed his art as rustic realism and today I want to delve into the life and the art work of another such painter, the English realist rural landscape artist Henry Herbert La Thangue. 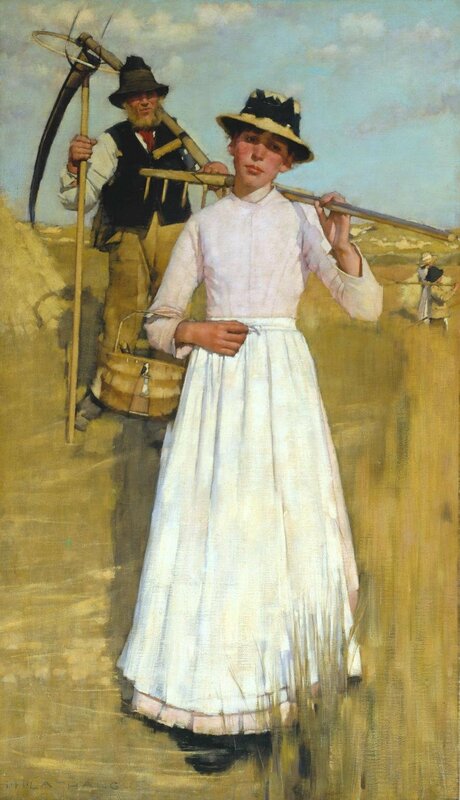 Henry Herbert La Thangue was born in Croydon, Surrey on January 19th 1859. 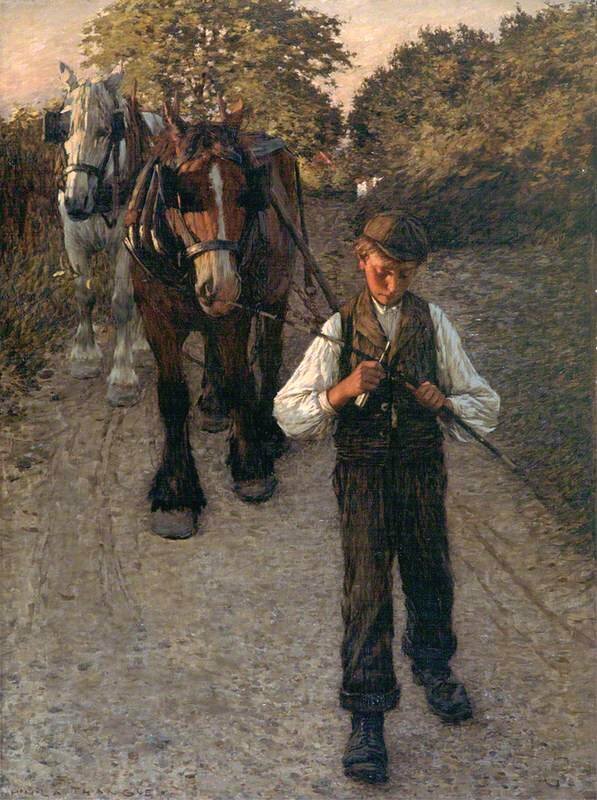 He attended the renowned public school, Dulwich College, where two of his contemporary school friends were fellow aspiring artists Stanhope Forbes and Frederick Goodall. He enrolled briefly at the Lambeth School of Art in 1873 before enrolling on a five year course at the Royal Academy schools in 1874. The culmination of his studies at the Academy came in December 1879 when he won a gold medal for his work as well as a three year travelling scholarship to study in Paris at the studio of Jean-Léon Gérôme at the prestigious Ecole des Beaux-Arts. It was during this time, whilst staying in the French capital, that he became influenced by the works of Whistler and the many paintings he saw at the Salon by artists who favoured rustic naturalism. He was also influenced by the landscape works of the en plein air artists of the Barbizon school. So how did the Barbizon School come into being ? As far as the French Academy was concerned aspiring artists should be taught in the Neoclassical tradition and copy the style of the painters of the Renaissance and Classical era. 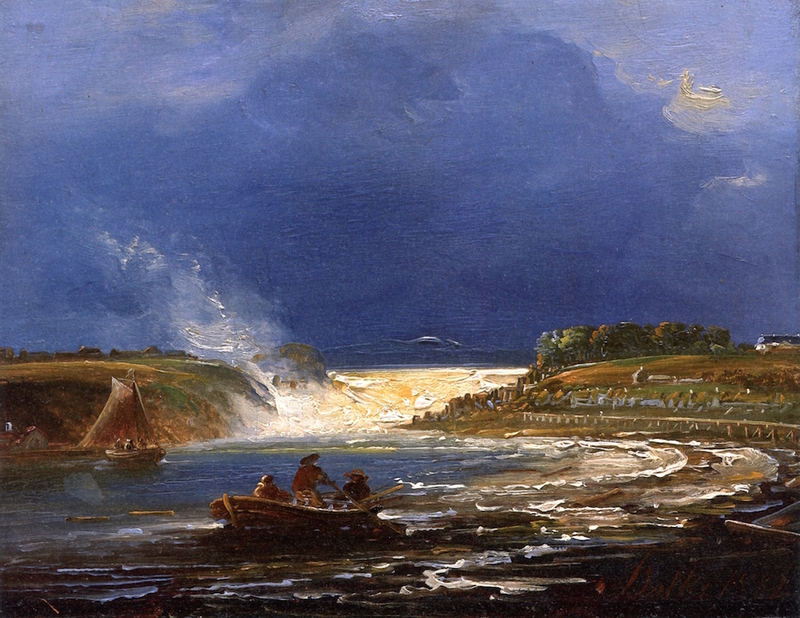 Landscape art was not looked upon as an important genre unless the landscape , usually an idealized version, was combined with some historical connotation. In 1816 the Academy even encouraged this genre by introducing a Prix de Rome in paysage historique (landscapes with a historical nuance), the winner of which would travel to Rome to live and paint at the Villa Medici. By making this award the Academy had hoped to encourage artists to paint not just landscapes but by adding the historical aspect to the work it would ensure history painting would not die. It actually had the opposite effect as many artists turned to simple landscape work and this desire was further enhanced when in 1824 John Constable’s landscape works were exhibited at that year’s Salon. 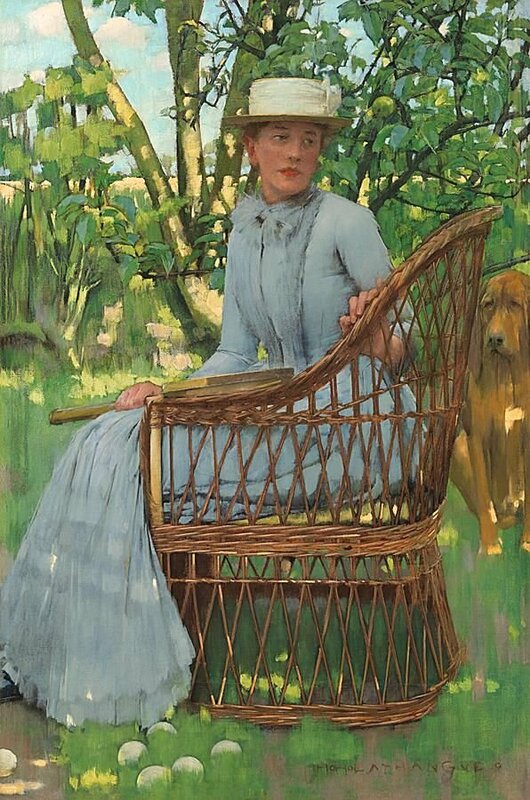 In the warm summer months artists would leave the French capital and move to the tranquillity of the Parisian countryside around the Forest of Fontainebleau with its dense forest and meadowlands. 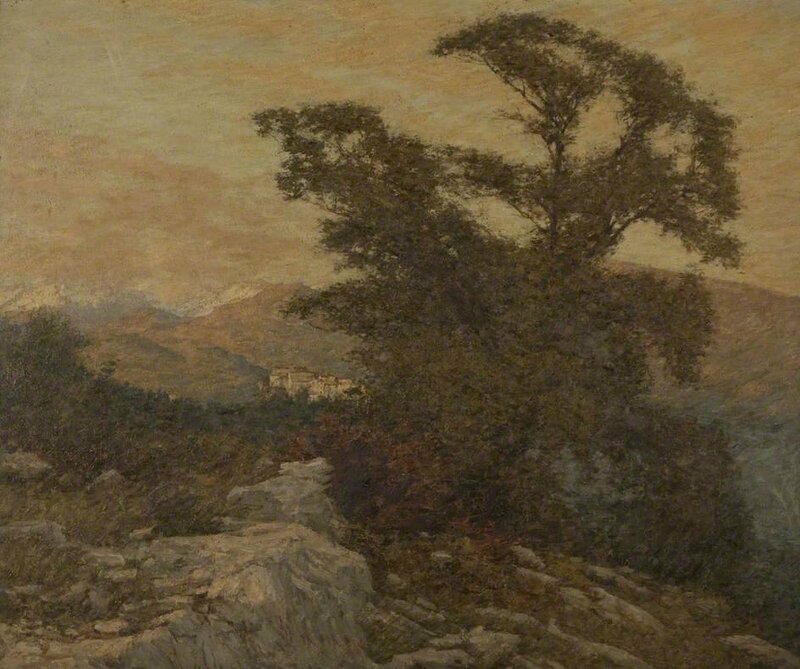 Small hamlets were situated around the periphery of the forest which made ideal stopping-off places for the artists and one such hamlet was Barbizon which proved to be the ideal temporary home for many landscape painters, such as Théodore Rousseau and Constant Troyon, who had rejected the Academic tradition of historical landscape painting and embraced a more realistic representation of the countryside and life in the country. Later in the 1840’s, artists such as Jean-François Millet and Charles-François Daubigny came to Barbizon. In 1881 after completing his studies at the Ecole des Beaux-Arts, La Thangue travelled to Brittany, another popular region with landscape painters, and worked alongside the English landscape painter, Stanhope Forbes. Whilst here, he met the renowned master of rustic realism, Jules Bastien-Lepage. 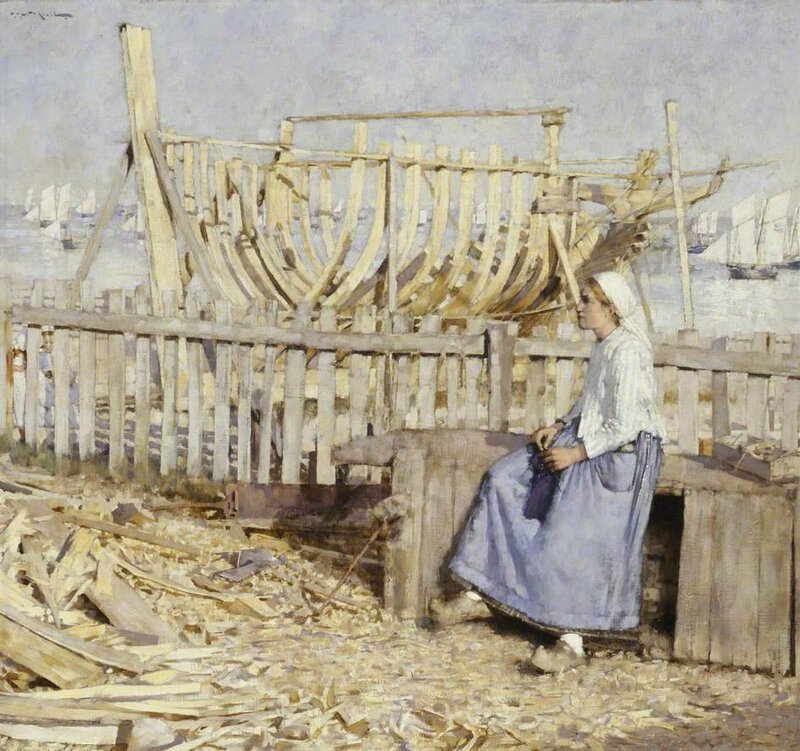 That year, he visited the small coastal commune of Concale, east of St Malo and completed his painting entitled The Boat Builder’s Yard. He remained in Brittany until mid 1882 and the following year he travelled south to the Rhone Valley commune of Donzère with his friend, the sculptor James Havard Thomas. In 1886, despite his misgivings surrounding the Royal Academy, he continued to exhibit works at the art establishment. The Royal Academy was not the sole outlet for his works as the paintings were also exhibited Royal Society of British Artists and the Grosvenor Gallery, which had opened in 1877 by Sir Coutts Lindsay, and was a welcoming home for those painters, such as Edward Burne-Jones and Walter Crane, whose works the more conservative Royal Academy shunned. His paintings could also be seen at the New Gallery which was founded in Regent Street in 1888 by Comyns Carr and Charles Edward Hallé who had once been co-directors of the Grosvenor Gallery but because of all the Grovesnor Gallery problems, had resigned and set up this new gallery. The New Gallery was also a home for the works of the Pre-Raphaelite and Aesthetic movement artists and artists such as Lawrence Tadema-Alma, William Holman Hunt, Lord Leighton and George Frederic Watts exhibited works at this establishment. 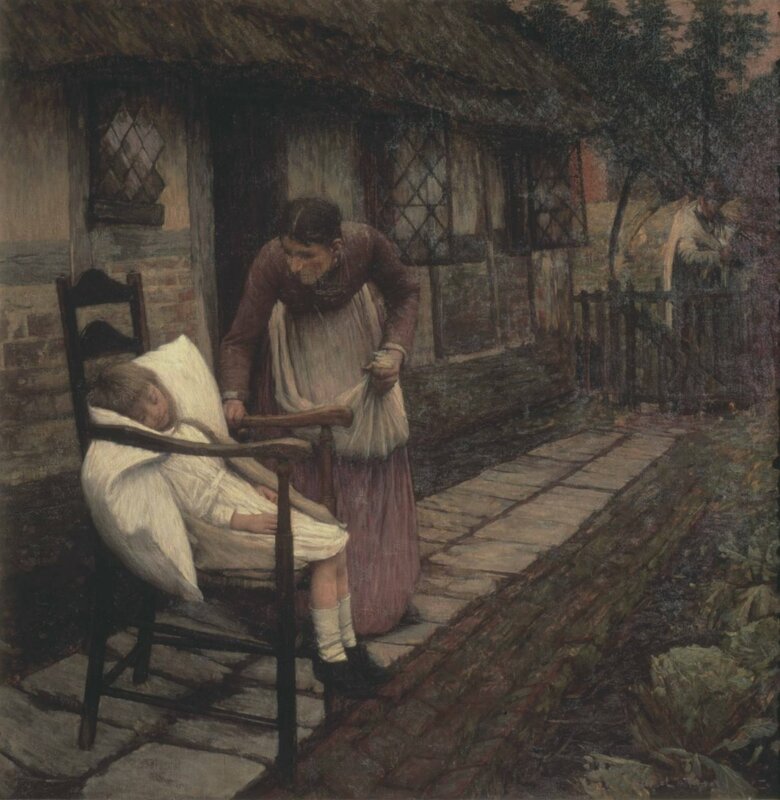 La Thangue also exhibited at the Royal Institute of Painters which he had joined in 1883. In the summer of 1886, La Thangue moved home to the Norfolk countryside and the small fenland village of South Walsham. During these years La Thangue produced head studies of farm hands and fisherfolk and it was whilst living here that he completed his landscape painting entitled Return of the Reapers. This was a typical example of La Thangue’s rustic realism style. La Thangue was probably influenced by the works of the French artists Jules Bastien-Lepage and Gustave Courbet and the en plein air works of the French Impressionists. Five years later La Thangue left Norfolk and moved home south to the neighbouring county of Suffolk and the coastal village of Bosham just a few miles from the town of Chichester. 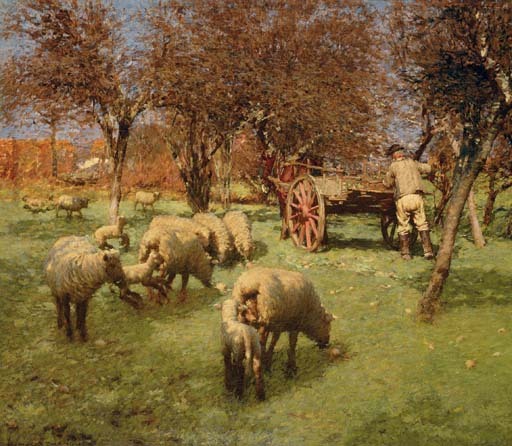 He carried on painting rural scenes, often large-scale works, with their realism connotations. 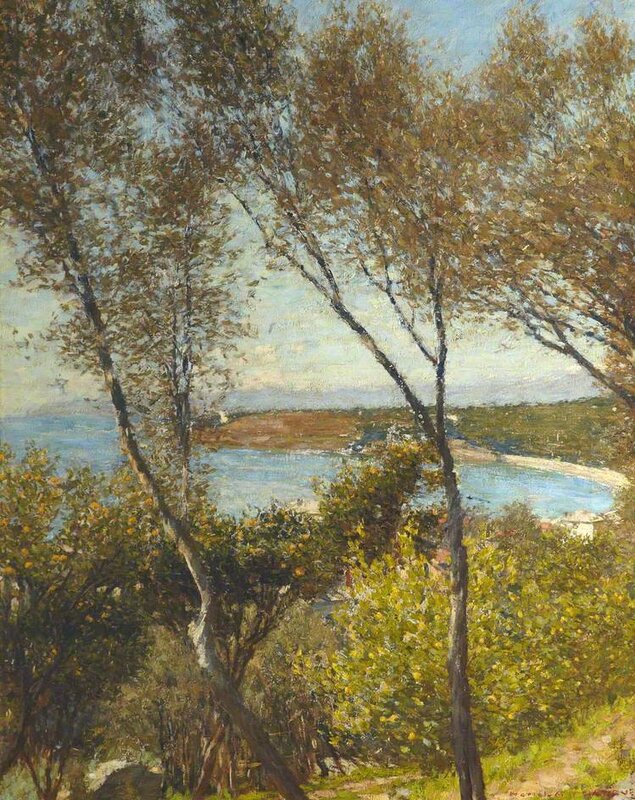 At the turn of the century La Thangue became more and more interested with the work of the French Impressionist painters and their fascination with light and in 1901 he travelled to Provence. From 1903 to 1911 he spent much of his time in the Italian region of Liguria building up a large collection of work. 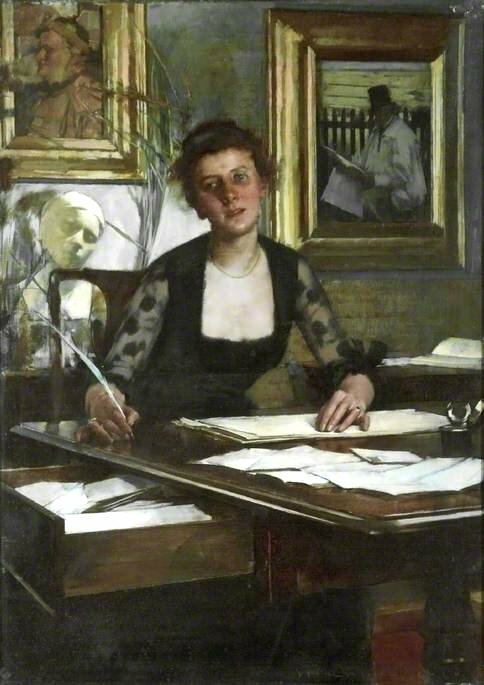 Despite La Thangue’s earlier outspoken criticism of the Royal Academy he became an Associate of the Royal Academy in 1898 and became a full Member in 1912. 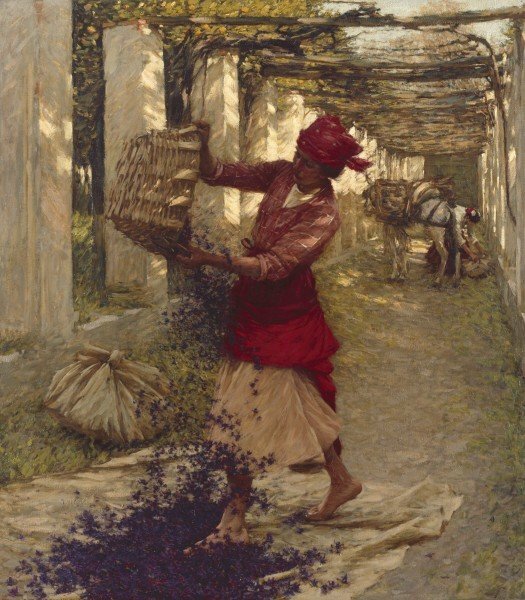 This work stemmed from his time in Provence and depicts a woman tipping a basket of freshly picked violets onto a muslin sheet in preparation for perfume making. All through his artistic career La Thangue developed his subject matter from labourers working in fields, vineyards and orchards. The depiction of the lady working in this work highlighted the back-to-basic work practice. 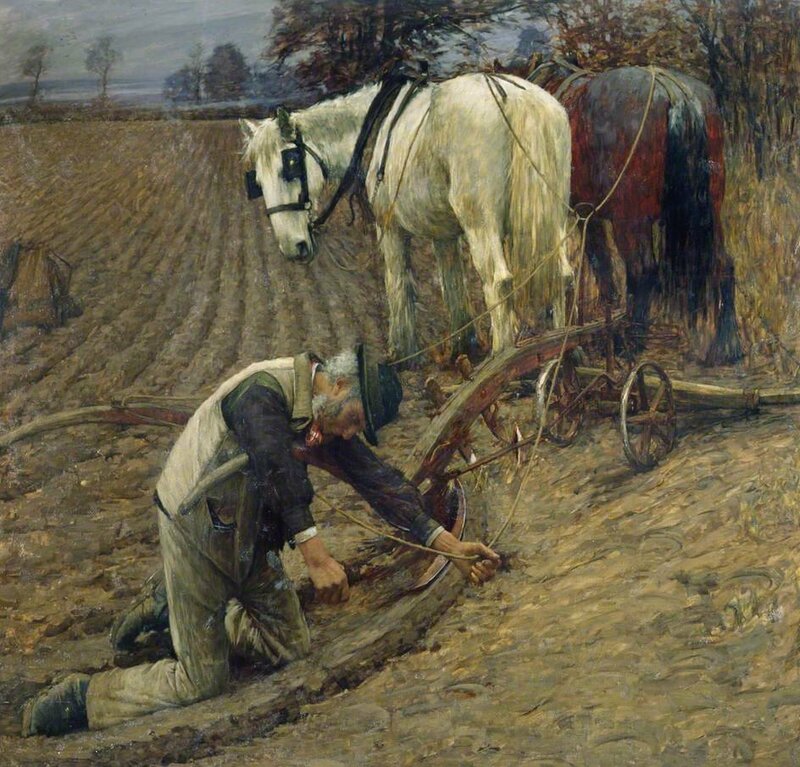 Gone was the mechanised practice of harvesting which La Thangue disliked and which he saw creeping into the rural life of England, destroying the old-fashioned rural practices which he had so loved to paint. Sickert went on to write that La Thangue, through his talent at developing relations of colour with a warm colour at the base, was able to build on it a series a series of beautiful and interesting sensations of nature which is what he, and not somebody else, had to say. In the 1920’s after the Great War had ended La Thangue returned to Liguria and the motif of his paintings changed from the arable land of the English countryside to the sunlit orange groves and gardens of Italy. La Thangue spent those days in southern Europe painting en plein air directly on to large canvases. This belief is based on the fact that very few smaller versions of his paintings or sketches exist. Henry Herbert La Thangue died on December 21st 1929, just a few weeks before his seventy-first birthday. 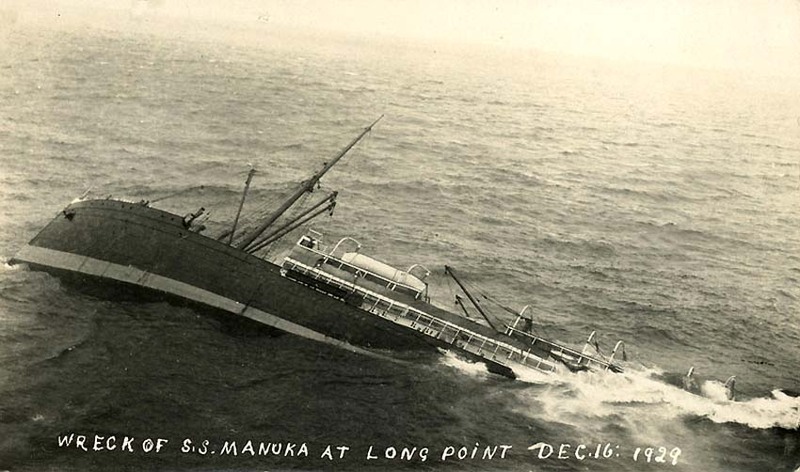 Less than a week before his death La Thangue had been devastated and depressed when he was given the news that a vessel, the S.S. Manuka, during a voyage from Melbourne/Bluff/Dunedin was wrecked on Nugget Point near Long Point, South Otago. Part of the cargo on the vessel was two of La Thangue’s paintings. La Thangue was never to know, that five days after his death, the paintings were recovered and said to have been in “reasonable condition”. His wife Kate died in 1941. 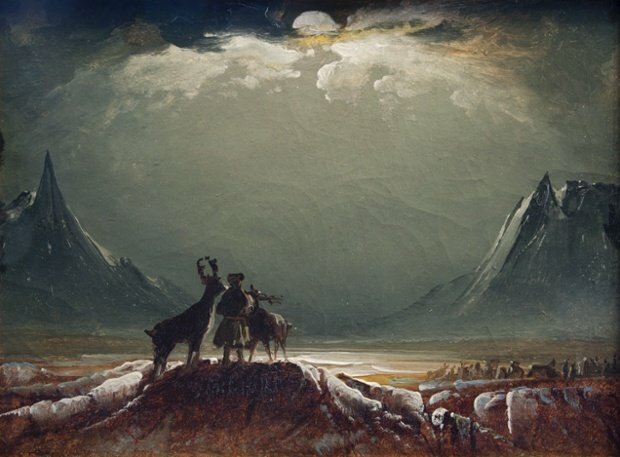 Two years later, in April 1832, Balke set off another artistic journey. This time, setting off in his own carriage he went to Trondheim where he was to catch a boat to the north of the country. His planned journey hit a snag when he arrived late in Trondheim and missed the boat. He had to wait a further seven weeks for the next boat but spent the time sketching the town and the surrounding areas. 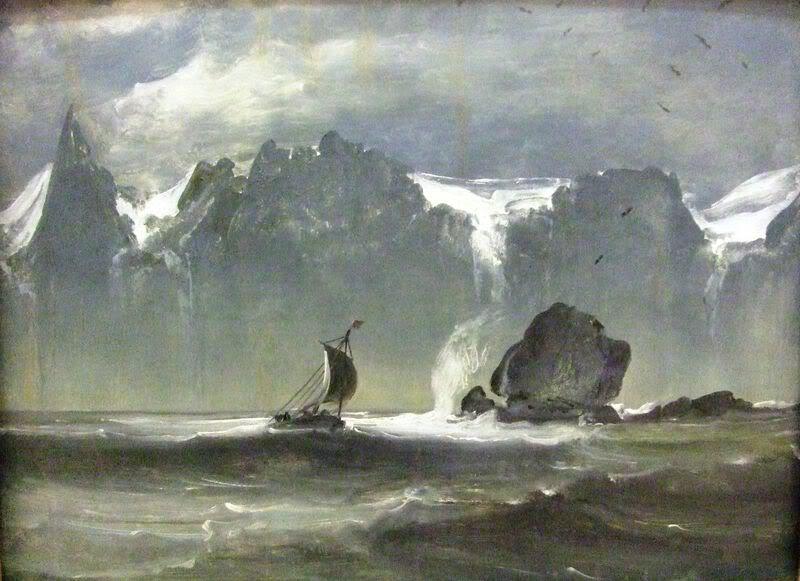 Peder Balke finally embarked on his northbound boat trip, passing the Lofoten Islands and arrived at Tromso. From there the boat went further north to Hammerfest and then proceeded around the North Cape to Vardø and Vadsø. 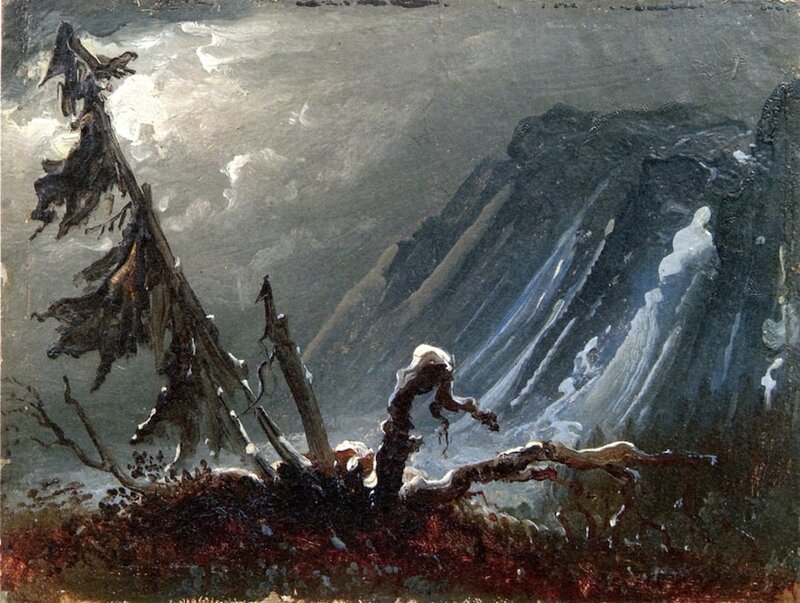 He was the first Norwegian painter to record the harsh beauty of the northern landscape. 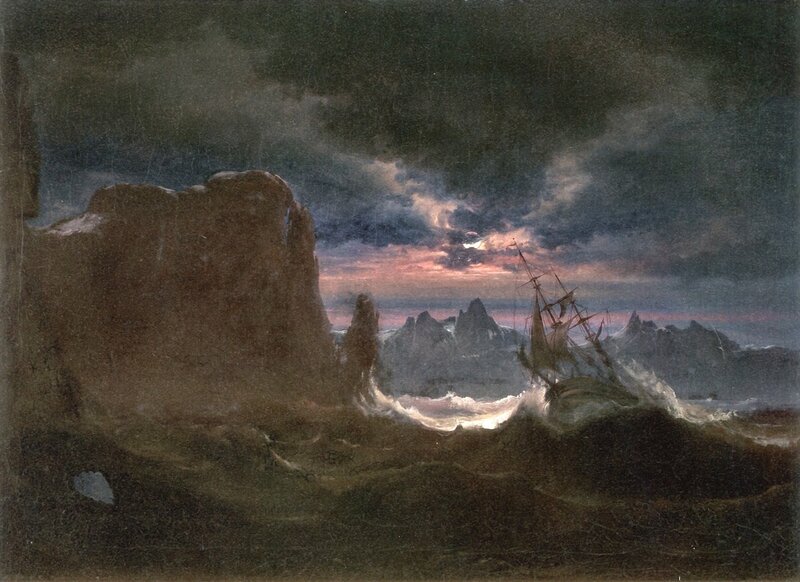 Eventually Balke and the boat returned to Trondheim. 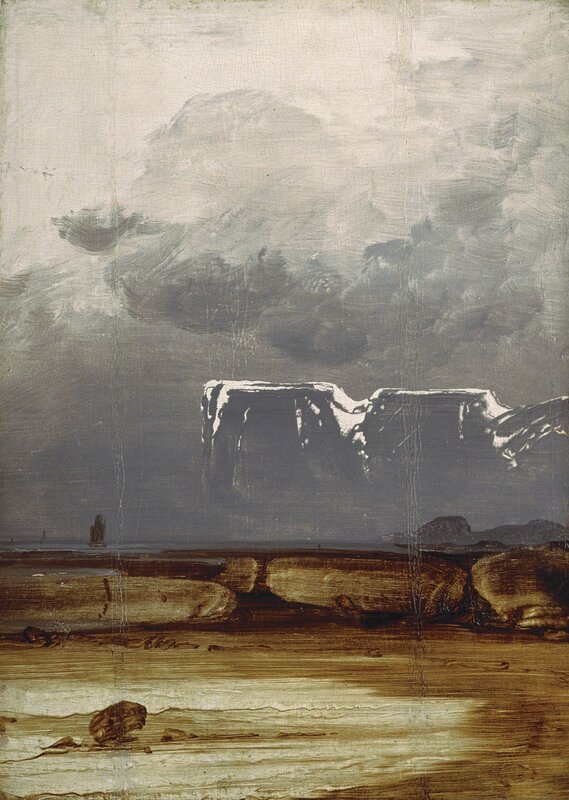 During the long journey Balke had completed a large collection of sketches of the places he had seen and many were used in his many seascape and moonscape works of art which he worked on when he returned to Stockholm. He sold many of his paintings to wealthy Norwegians and Swedes as well as members of the royal family. In 1834, now, financially secure, Peder married Karen Eriksdatter, the woman he had been secretly engaged to for several years, but had been too poor to marry. 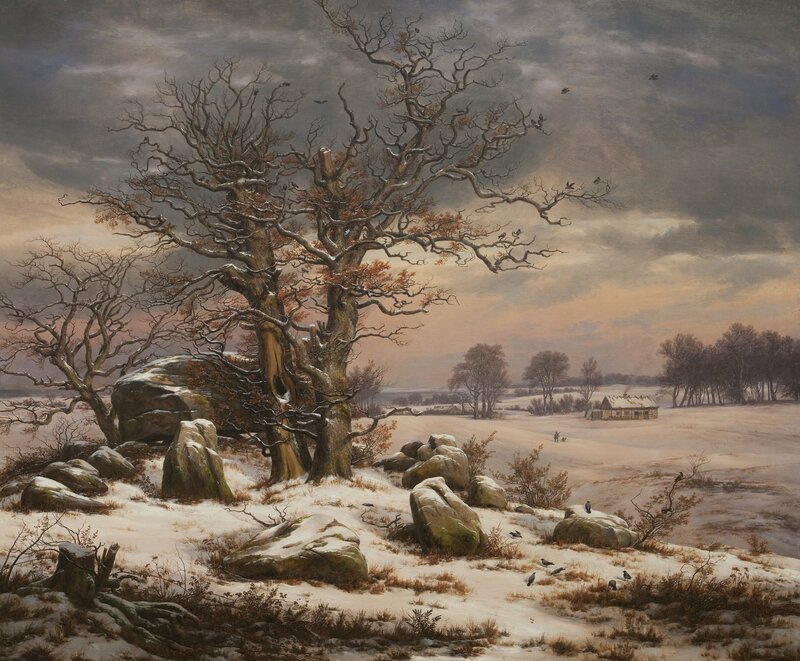 The couple settled in Christiania and Balke, now accepted, not simply as a decorator but as a landscape artist, tried to establish himself and sell his artworks. However competition at the time was too great and the sales he had hoped for never materialised. 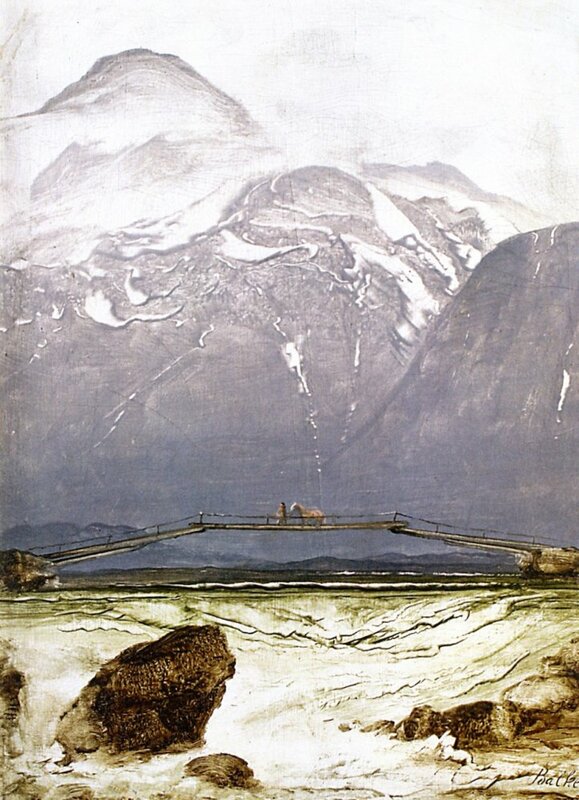 However, in 1835, he managed to sell another of his works to the king and with that money he decided on fulfilling his dream of travelling to Dresden and work with the Norwegian artist, J C Dahl. Many Norwegian artists had trodden this path, including Thomas Fearnley (see My Daily Art Display November 24th & 28th 2012). With help from a friend, Balke set off for Germany and reached Berlin in the winter of that year. He remained in Berlin for several weeks and was able to visit the Royal Museum and whilst in the German city he saw paintings by the German romantic landscape painter, Casper David Friedrich. It was this artist who was going to have a great and lasting influence on Balke. Louis-Philippe commissioned a set of paintings derived from the sketches. Balke’s financial future seemed to have been rescued and he set to work on the commission. Alas fate was to take a hand in the form of the February Revolution of 1848 which saw the downfall of Louis-Philippe. Balke realising the dangers of being close to the unpopular ruler decided in late 1847 that he and his family would have to hurriedly leave Paris which meant he had to abandon, what was to have been a very lucrative commission. Balke moved back to Dresden. Shortly after his arrival in the German city in 1848 his young son Johann died. His death came around the same time that his wife gave birth to their daughter Frederikke. Sales of his art in Dresden were hard to come by and so he decided to leave his family with a friend and head back to Christiania. 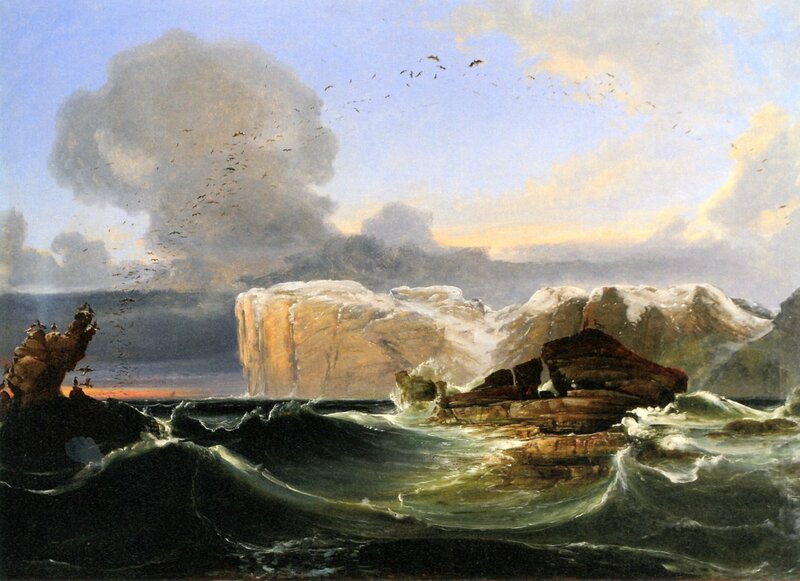 He managed to sell some of his work, one of which was The North Cape by Moonlight but still the Norwegian people favoured the Dusseldorf School of landscape painting and so Balke returned to his family in Dresden. In the Spring of 1849 he and his family moved to London where Balke believed his art would be more appreciated. London had fallen under the spell of Joseph Mallord William Turner and his marine paintings and so Balke believed his works of art would do well. He was proved right and managed to sell more of his works of art. In the autumn of 1850 Balke and his family moved back to Christiania. In 1855 his good friend and benefactor Professor Rathke died and left Balke a sizeable amount of money which Balke used to buy eight acres of land just outside the city limits at a place known as Vestre Aker. He virtually abandoned his career as an artist of large scale landscape works, concentrating on small scale paintings which he believed would be bought by the middle class. He now concentrated on his property portfolio and in particular the development of housing for workers in his newly attained property in the suburb of Balkeby, He dabbled in local politics championing the cause of pensions for men and women, and also of grants for artists. His painting was now just a hobby and for his own pleasure.